This post was contributed by Monique of Living Life and Learning. to make math manipulatives because they’re easy to store, colorful, and fun to create with. 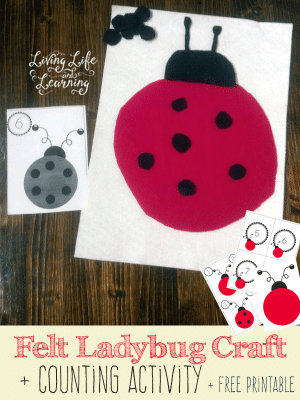 Felt craft projects don’t take too long to create and they are fairly cheap to make considering the amount of felt that you use is so little. Plus felt offers a great tactile experience for my little learner, too. 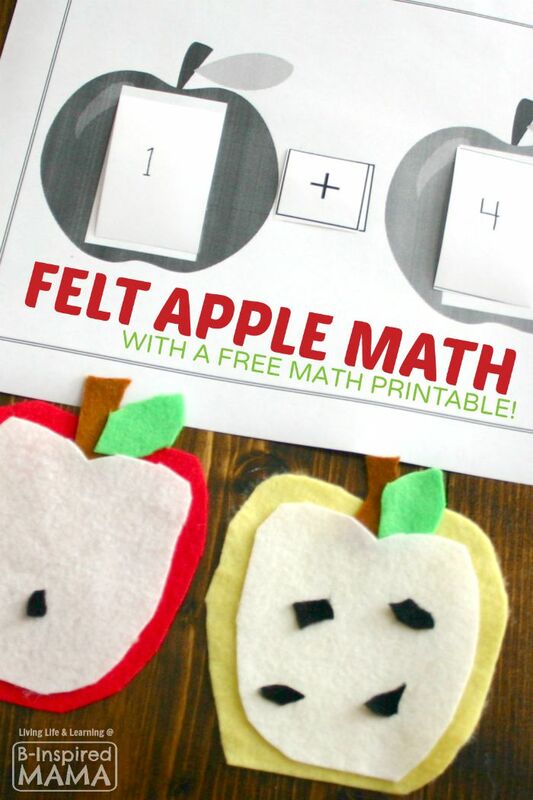 A Math Activity Printable for Apple-Themed Learning! 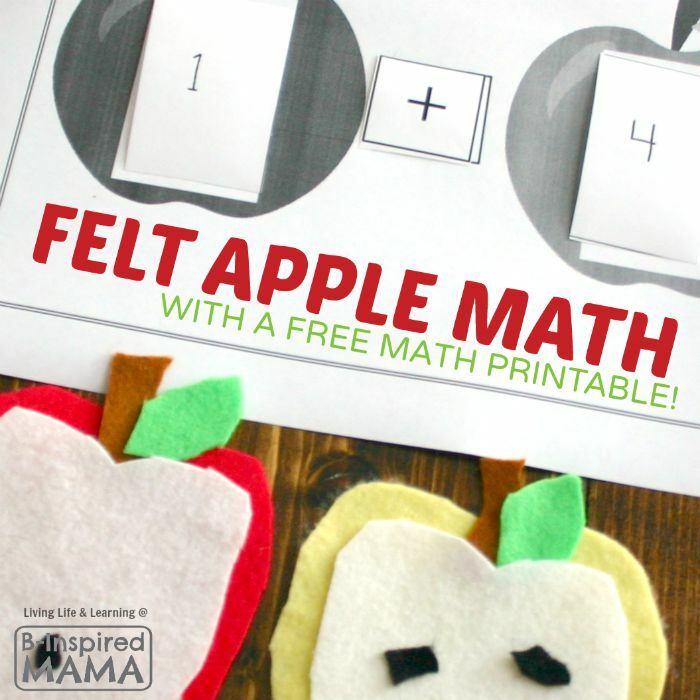 An Apple Math Activity Printable – With DIY Felt Apples! Cut out two round felt apples – one red and one yellow. Cut out leaves and stems for each and glue them on. Cut out a white felt piece for the inside of each apple and glue them on. Cut out small, black felt “seeds.” No worries on being precise; we’re going for simple and easy here. 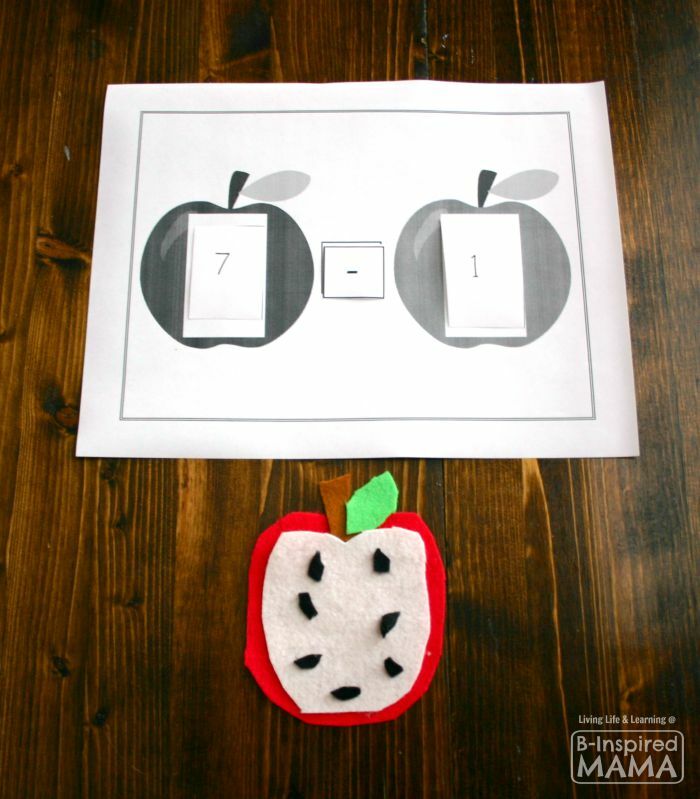 Then, download, print, and cut out the pieces in the Apple Math Activity Printable. 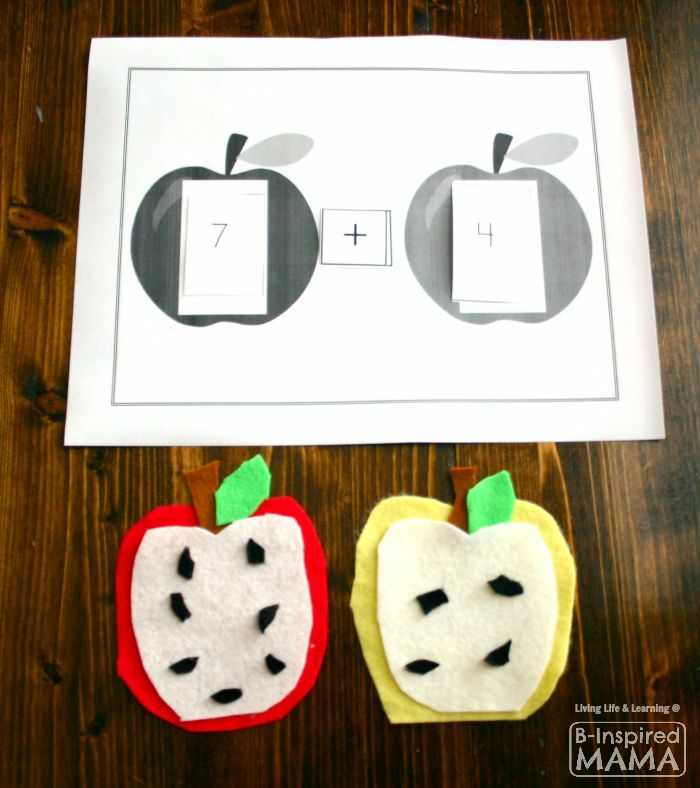 This apple math activity allows your child to work on addition and subtraction math problems and use the felt apple seeds as math manipulatives to show their answers.
. Then you use the number and math sign cards to create math problems for your child to solve. , too. This offers another motor skill component and handwriting practice. This math activity can help a kindergartener or 1st-grade student with both addition and subtraction. For subtraction, you can start with placing the seeds all on one apple, and then have them remove the proper number of seeds to answer each problem. 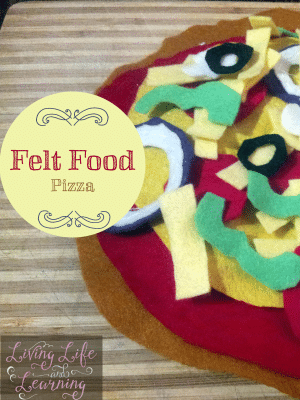 Do you ever use felt for learning? What math activities do your kids enjoy? Join the conversation in the comments below! Monique is a homeschooling mother of 3 kids and a blog designer. You can find her sharing homeschooling tips, educational printable, and parenting advice over at Living Life and Learning. You can follow her on Facebook, Pinterest, Twitter or Instagram. Previous Post: « Mama Reads Monday – Mom Bodies, Evening Rituals, & More!